Canada-Visa-Business helps business people in Canada in the construction sector, in real-estate and business in four steps. Whether it is to only do business and/or as an investor immigrant in Canada. Step 1: Consultation, analysis of your business and objectives, seeking information in Canada and business plans. Before deciding to invest and/or do business in Canada in construction and real-estate, to help you in your research and develop a business plan, we need to better understand: your goals, capital investments, your business, your business experience and your business plan to improve it if necessary, and make it feasible. In the first stage we act as a consultant with our team of immigration, business, construction and real-estate consultants. If necessary we will go to your country to plan with all your teams of experts your business plan for Canada. Experts: legal, in engineering, marketing, administration and other. 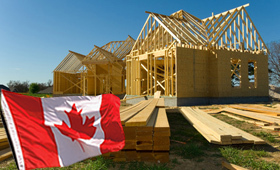 The goal is first to better inform you on the different aspects related to the business of construction and real-estate in Canada with options for establishing your business in Canada and meet your immigration needs. Step 2: The immigration application process, travel arrangements and business meetings and looking for opportunities to buy land and buildings. Once you are well-informed and your decision is made to come to Canada with a business plan that is well-balanced with a good road map in step 1, the business plan is set in motion. A consultant partner in immigration to Canada is handling your case and at the same time a business trip is organized to begin the process of establishing a business, in construction and real-estate in Canada. We assist you in your search for land and buildings and do the mounting of the real- estate project with: drawings, plans, estimates and a feasibility study. Step 3: Setting up and starting your business and project in Canada. Once you are in Canada we assist you in building your business with a lawyer specialized in business law, construction and real-estate. Then we offer you the means to build your project. Step 4: We take care of the marketing, the commercial side and sales. 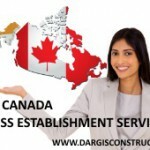 Construction Daniel Dargis Inc. is in charge of advertising and marketing to provide projects and contracts to its member construction companies in Canada in construction and real-estate. We are the only experts to help business people establish themselves turnkey in construction, real-estate and business in Canada.